These summer camps in Connecticut offer indoor and outdoor options, co-ed programs, youth and teen programs and much more. Find Connecticut summer camps using our guide below. More than 90 years of making summers memorable! 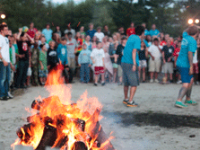 Camp Hazen is a child-centered community. We focus on each individual and teach skills that kids will use forever. Whether it’s learning a new activity, making friends or becoming more resilient, independent and understanding, we know that campers return home inspired to live in a way that will make them proud. We're a place where people connect and truly belong. There is no better feeling than that of coming home from camp having had the experience of a lifetime. Year after year campers leave Camp Hazen having found their best friends. And each summer, the joy of reuniting with counselors and old friends is one of life's greatest rewards. Kids simply love Camp Hazen, and whether it is their first time or they are a lifelong Hazenite, campers find that they belong here more than any other place in the world.